As well as being one of the most inspiring coaches Australian rules football has ever seen, David Parkin is one of the best business and motivational speakers in Australia. David’s career is littered with magnificent accomplishments as a player and coach. David captained Hawthorn to their second premiership in 1971 then later coached the club to another in 1978. 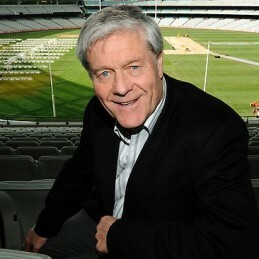 David coached the Carlton Football Club to back to back premierships in 1981 and 1982 and again in 1995 in a season which saw the club win a record number of games. Originally trained as a primary school teacher, David spent 18 years in Teacher Education. He is currently a lecturer in health, physical education and recreation at a leading tertiary school. David’s talents have been transferred from sporting and academic fields to the business arena. His motivational presentations have been held in high regard by leading organisations including MLC Life, Spalding Australia, RACV, Campbell’s Soup, Telstra Australia, Australia Post and KPMG. David is a well-known media performer. He has appeared on Channel Seven’s Talking Footy, is a regular panel member on Fox Footy Channel’s League Teams and is a match day commentator on ABC Radio. In 2002 David was inducted into the Australian Football Hall of Fame.